SO CLOSE – so, so close. Four-nil down after 42 minutes, Rangers battled back to almost earn an unlikely point in a riveting W12 affair. The in-form Che Adams hit a first-half hat-trick for play-off chasers Birmingham City, while Harlee Dean was also on target for Garry Monk’s charges before the break. However, after Matt Smith scored for Rangers on the stroke of half-time, the imposing forward’s second goal in the 48th minute set up a grandstand finale. Substitute Jordan Cousins eventually grabbed an R’s third in the 80th minute, before Steve McClaren’s men were awarded a 92nd-minute penalty. Nahki Wells stepped up to take it, after Luke Freeman was tripped in the box, but former R’s goalkeeper Lee Camp came to the rescue for the visitors - as he dived low to his right to keep out the Burnley loanee. Following our 2-0 home replay win over Portsmouth in the fourth round of the FA Cup on Tuesday evening, McClaren named an unchanged starting XI for the visit of eighth-placed Birmingham. That meant the R’s – in a 4-4-2 formation – lined up as: Joe Lumley; Darnell Furlong, Grant Hall, Joel Lynch, Jake Bidwell; Freeman (captain), Massimo Luongo, Josh Scowen, Bright Osayi-Samuel; Wells, Smith. When the contest got underway, there was little to report during a tight opening stanza. Rangers were first to go close, though, as Wells headed Osayi-Samuel’s seemingly-goal-bound effort over the target in the 11th minute. 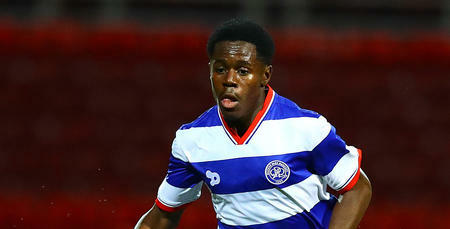 Three minutes later, Osayi-Samuel was again involved, with the winger’s cross-shot just about clawed to safety by Camp. However, it was the visitors who drew first blood, through Adams, in the 21st minute. The firing frontman rolled Lynch in the box – then arrowed a low effort into the bottom left-hand corner. Advantage Birmingham, then, and Monk’s side soon added a second goal to make Rangers’ task all the harder. Jota’s defence-splitting pass in the 27th minute put Adams in the clear, with the striker subsequently keeping his cool to round Lumley and slide home his own second of the afternoon. Rangers already looked deflated, and things weren’t about to get any better – only worse. 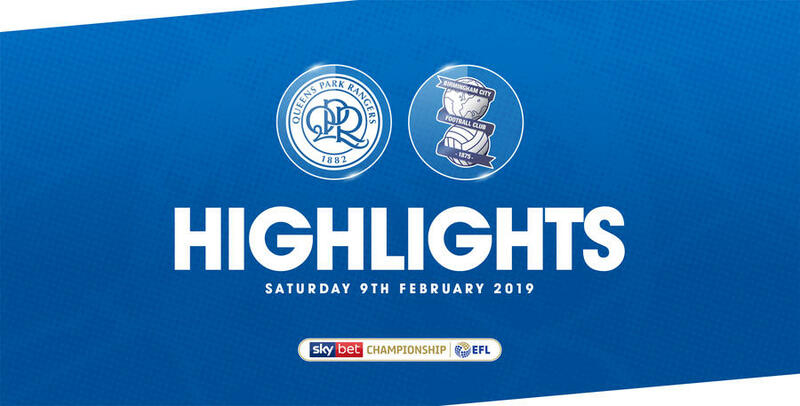 After Lumley pulled off a flying save to keep out Gary Gardner’s curling range effort, Birmingham edged even further in front from the resultant corner kick in the 36th minute. Former Brentford duo Jota and Dean combined to make it 3-0 to the visitors, with the unmarked latter rising to head home a right-wing set-piece. Three then became four in the 42nd minute, in what had fast become an utterly-disastrous first half for the R’s. Yet again, Jota was involved – his 20-yard shot crashing back off the post before Adams stole in to poke in for his hat-trick. Rangers gave themselves a small glimmer of hope just before the half-time whistle was sounded, reducing the deficit to three goals. After good work by Wells to win a corner, Freeman’s right-flank delivery was headed in by Smith in the 45th minute. Could that spark the unlikeliest of comebacks? To aid our cause, a double substitution was made at the break, as club captain Toni Leistner and Cousins replaced Scowen and Osayi-Samuel respectively. And just three minutes into the second period, Birmingham’s lead was cut to two. Wells broke away down the right, then produced a low cross for Smith to prod home his second goal from eight yards. Suddenly, Loftus Road began to believe again. Rangers used their final sub in the 61st minute, with Pawel Wszolek replacing Lynch. The R’s then proceeded to lay siege to the visiting goal, in search of a third. In the 66th minute, Smith’s fierce edge-of-the-box attempt was deflected only inches over the crossbar before, moments later, Camp parried away sub Leistner’s half-volley from a similar distance. Rangers continued to knock firmly on the door and, in the 69th minute, Camp was again on hand to deny the R’s with a point-blank save from Wells, after Smith headed down Bidwell’s hanging left-flank cross. The Blues custodian also kept out Smith’s header a minute later. However, goal number three would eventually arrive for the Super Hoops, 10 minutes from time. Birmingham’s defence couldn’t deal with Freeman’s centre from the left-hand byline and, when the ball dropped for Cousins on 18 yards, he blasted home a half-volley in impressive style. 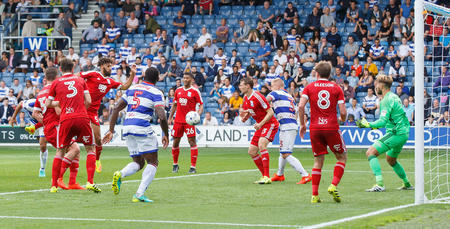 That was Jordan’s first-ever R’s goal – and Loftus Road was now rocking. Could Rangers do the unthinkable? Chances at both ends followed, as Smith went close for Rangers and so did Birmingham sub Kerim Mrabti at the other end, as Lumley fashioned a fine save to keep the score at 4-3 to the visitors. Ultimately, the R’s couldn’t pull off a great escape - and agonisingly so after spurning a golden opportunity to do so from the penalty spot in the second minute of stoppage time. Gardner felled Freeman in the box but, when Wells stepped up to take the penalty, his low shot was palmed away by Camp at the goalkeeper's right-hand post. Heartbreak for both Nahki and the R’s, who were still applauded off the field following their battling second-half display. 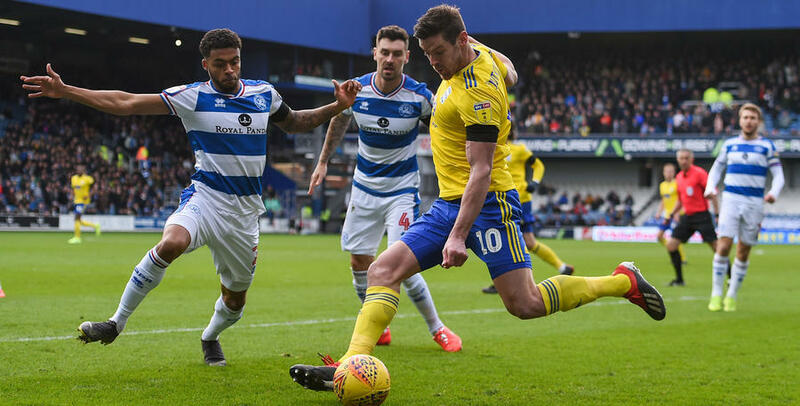 WATCH highlights from QPR's 3-4 defeat against Birmingham at Loftus Road on Saturday afternoon.